THE REFORM AGENDA | “I gotta pick myself up, dust myself off and start all over again,” sang reggae militant Peter Tosh in 1978, nine years before he was murdered in a hail of bullets. In a way, I find myself repeating the mantra of this slain prophet as 2019 kicks into gear. On a personal level, I start all over again. A door has closed at The Star, where I had joined in the first week of February 1996. And now, on that anniversary, another has opened for me at Malaysiakini. In the intervening 23 years, I witnessed and experienced unparalleled changes in the music business, the print media industry and finally, the political landscape. Now, I have been given the opportunity to participate from a slightly different perspective and I am raring to start again. “This is the moment I have been waiting for all my life,” I said when the racist and corrupt Umno-led government fell... and indeed it was. But you know what? Just nine months on, I can barely find anyone who is still that optimistic about the future. It’s as if we made a collective subconscious decision to return to our comfort zone and its default setting of doom and gloom. It really is much easier to whine about things and expect someone else to solve your problems than to make proactive changes yourself. Everywhere I turn, my timeline is full of negativity, most of it of the smart-alec variety. I am not saying that there haven’t been disappointments since the historic general election. I am saying that now is not the time to give up the battle. Indeed, the converse is true. 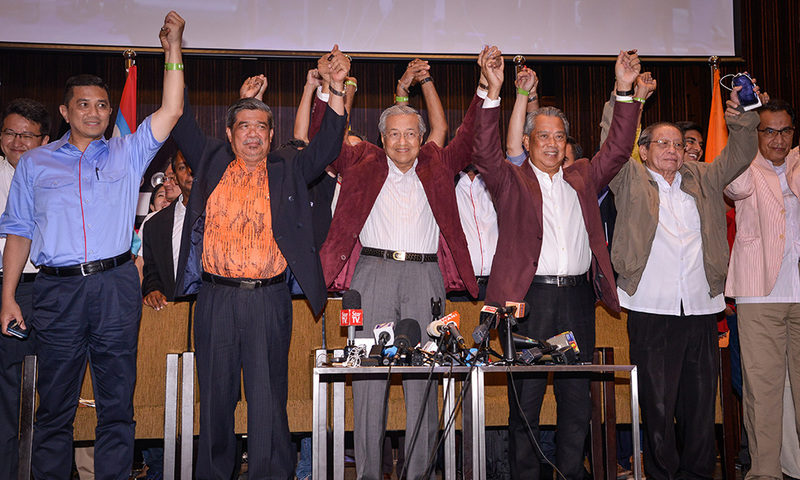 In a way, yes, we should have seen it, for even as the euphoria of electoral victory was ringing in our ears, we should have known that the dictator who shaped the best and the worst of old Malaysia was not the person most suited to forging a 21st century progressive nation. Best suited to oversee a change of regime, yes. But flanked by cronies like Daim Zainuddin and Kadir Jasin, the man who called (some of) us "keling" hasn't really changed enough, as far as I am concerned. The appointment of Muhyiddin Yassin as home minister and a reluctance to repeal repressive legislation, such as the Anti-Fake News Law and the Sedition Act, spoke volumes to me. So did the way the new government allowed the police to act fast on progressive activists like Siti Kasim and Fadiah Nadwa Fikri while keeping silent on the hate-speech of the Umno-PAS brigade. Games were afoot, and still are, to circumvent the agreed-upon transition between the PM and his designated successor. We should indeed be wary of those who profit from chaos and play a dangerous game with the powder keg of race and religion. What would an opportunist in the BN regime seek to do? He would seek to disguise himself and continue to flourish, subverting reform in the process. The rot did not vanish overnight simply because we removed the head of a broken system. Nor are the enemies of Malaysian reform wholly from within. I recently spoke to a senior Singapore government official who, beneath his dulcet tones, sounded almost desperate for Malaysia's experiment with regime change to be failed one. And so, there are many, many reasons to be down and discouraged. And far too many of us have fallen into the bad habit of just focusing on negative points. It’s as if we are so comfortable grumbling and being unhappy that we refuse to see the many positives in our daily lives as Malaysians. To me, modern Malaysia is both a missed opportunity for true greatness and a minor miracle for its peace and prosperity. We are really blessed and have much to be happy about, I think. Look around. I see my children playing happily with those of other races. I see young people speaking up bravely. I see compassion and harmony. Beautiful countryside, lovely food, technological progress and a rich history. 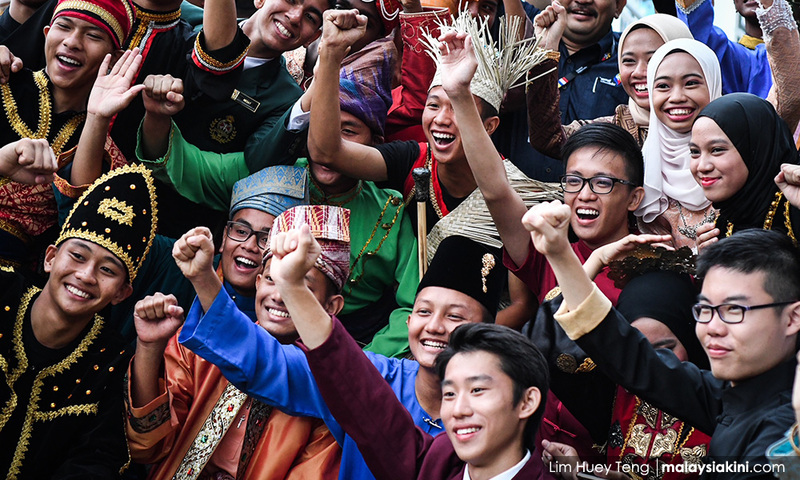 There is so much that Malaysians have achieved together. Our ancestors got through the Japanese occupation, British colonial oppression, communist terror, a confrontation with Indonesia, separation from Singapore and the bloody racial riots of 1969. Have we not come so far from then? We should value the peaceful transition of power, greater press freedom, moves towards financial transparency, the moratorium on the death penalty, an open attitude towards medical marijuana and yes, even the clampdown on smoking. All these are hallmarks of a more forward-thinking society. Let’s even be happy that the largest party in Parliament is a multi-racial one for the first time in our history, and that the Election Commission is now headed by a true independent. This is a stage of transition, replete with obstacles, both little and large. Having fought so hard to deserve this opportunity to make a better society for ourselves, we would be foolish to throw it all at the first sign of trouble. I am an atheist and in that sense, I have no faith or illogical convictions that all will be well thanks to divine providence. I just have a gnawing suspicion that if we do not stand up to defend the gains of the election, one day it will all be too late. So, we should not sweat the small stuff but remain fixated on the bigger picture. Our commitment should be to the reform agenda. It should never be blind loyalty to the ruling parties. Truth be told, when I think back to the heady days of Reformasi gatherings, National Union of Journalists' vigils for mistreated journalists, water cannons and tear gas at Bersih rallies... the truth is... we have come way too far to give up on Malaysia now. Forget the leaders we have, the onus is still on us ordinary folk to fight for a Malaysia that’s always worth living in. 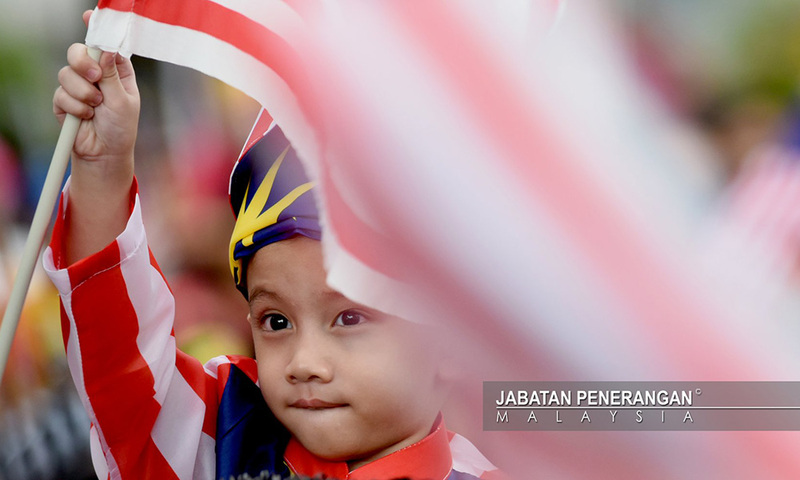 A Malaysia that we are happy to call home.